About this publication: This publication contains the findings obtained in a two years research project, as have been documented on the blog http://networkcultures.org/digitalpublishing. 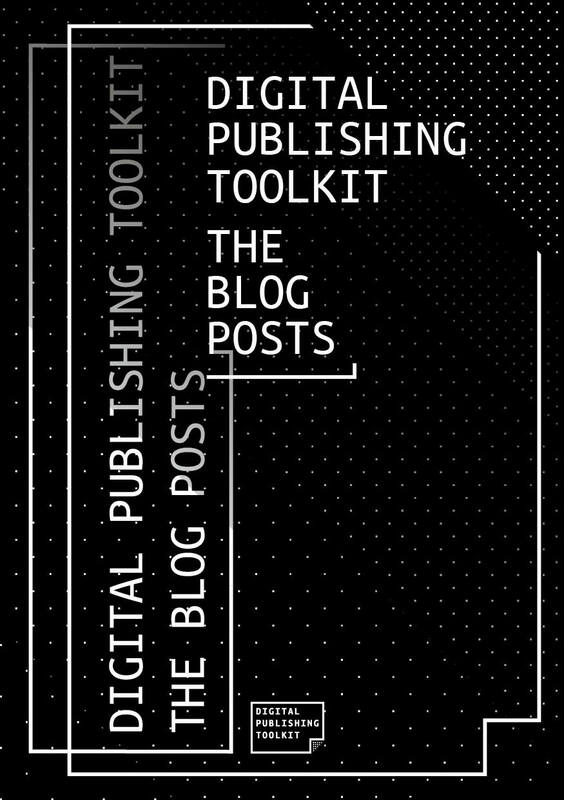 Digital Publishing Toolkit: the Blog Posts collects all these blog posts. The EPUB consists of texts, images and links to video files. The videos themselves have been omitted, to prevent the EPUB file from being too memory intensive to load on some reading devices. It includes reflections, reports and tools. The blog posts are arranged in reverse chronological order, with the exception of the earliest post, as we thought it would be most appropriate to begin the collection with the original first post. On http://networkcultures.org/digitalpublishing you can find more information about the two-year research project Digital Publishing Toolkit, such as registration videos of the three conferences we organized, a direct link to our GitHub repository and various resources related to hybrid publishing. Not only have we researched digital publishing, we also conducted various digital publishing experiments – of which this publication is an example. In addition to the physical book From Print to Ebooks: a Hybrid Publishing Toolkit for the Arts, we have released this specific publication through several different channels: Lulu, Issuu, Scribd, PDF and in EPUB. The approach we have adopted suits our main conclusion, namely that the best strategy for publishing in a digital age is a publishing workflow that utilizes a variety of output formats – i.e. a multi-channel form of publishing. Developing a hybrid publishing strategy, which is open to new digital forms, is an on going focus for the Institute of Network Cultures. 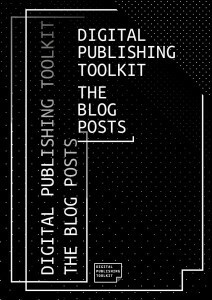 About the authors: Digital Publishing Toolkit Collective, consisting of: Marc de Bruijn, Liz Castro, Florian Cramer, Joost Kircz, Silvio Lorusso, Michael Murtaugh, Pia Pol, Miriam Rasch and Margreet Riphagen and guest bloggers. For background material, videos and the software created within this Digital Publishing Toolkit project please visit: http://networkcultures.org/digitalpublishing/.